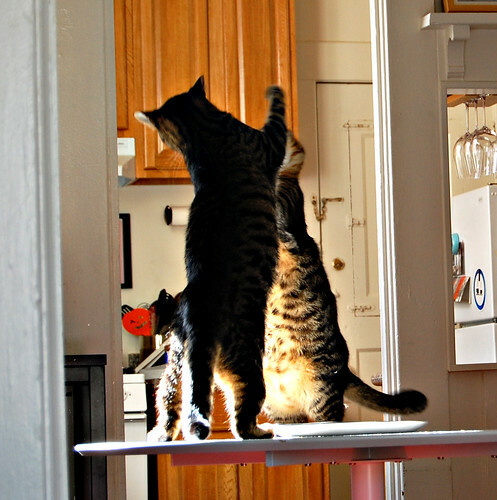 cat fight | come blow bubbles! 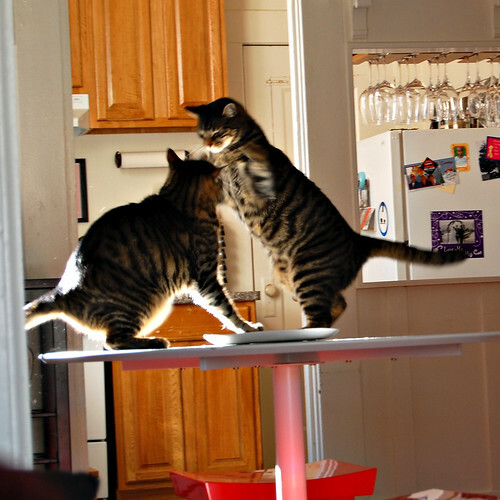 my cats enjoy having cat fights occasionally, and i mean that in the way that is usually directed at two girls slapping each other. 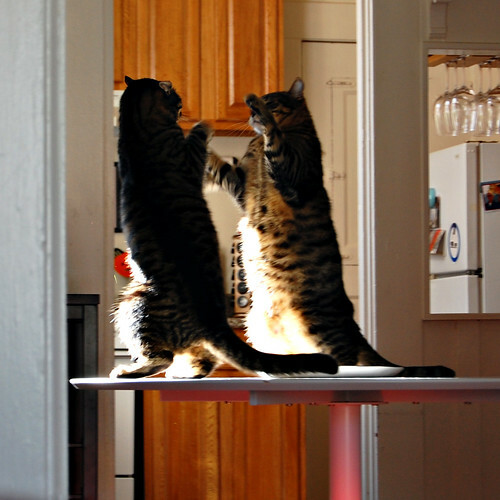 they get up on their hind legs and, well, slap each other. it’s hilarious.